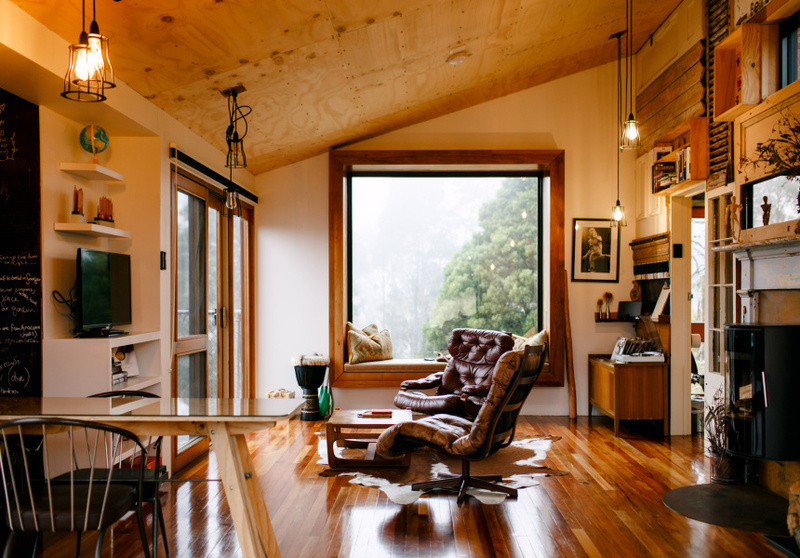 Northern Tasmania is the perfect combination of stunning landscapes, cosy retreats, and dining and drink options both small-scale and spectacular. Tasmania’s north boasts rolling pastoral farmlands, the island’s second-largest city in Launceston, and its principal wine-producing area in the Tamar Valley. 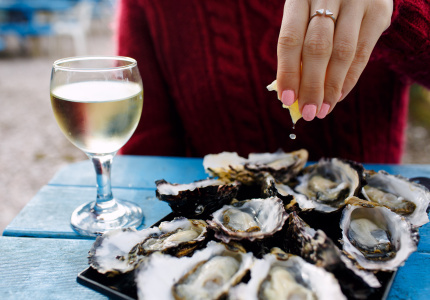 Renowned for its fertile terroir, the countryside surrounding Launceston is dotted with wineries, dairy farms, apple orchards and fisheries, and abundant opportunities for visitors to sample the goods. 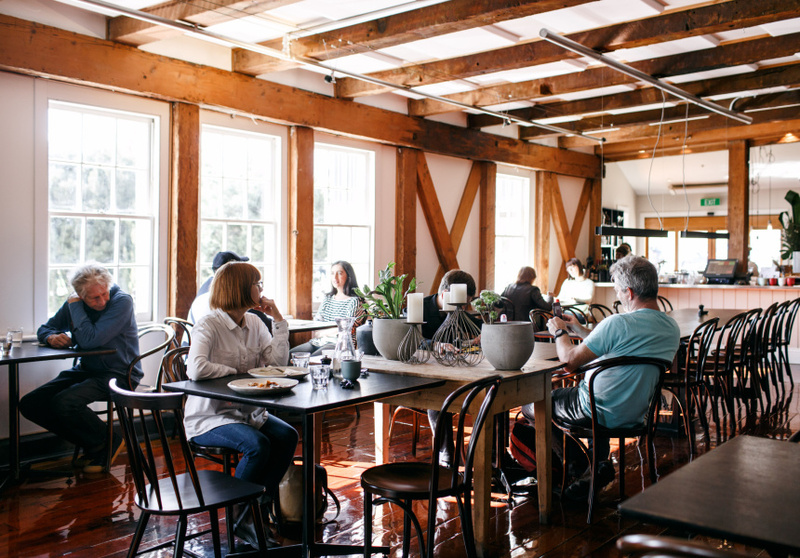 At the trail of cellar doors and grazing trails you’ll find a community eager to share in its natural wealth, while Launceston itself offers some of Tassie’s best bars and fine dining restaurants showcasing the region’s bountiful produce. 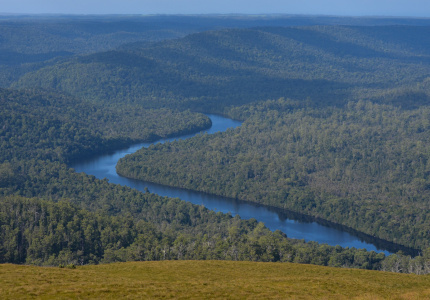 Beyond food lures there lies magical old-growth forests and rugged mountains providing ample opportunity for both hiking and chance encounters with wombats, wallabies, quolls and Tasmanian devils. The area is best explored by car, and then by venturing on foot. Take it easy in an eco-lodge in the woods while sipping on cool-climate pinot noir, or hike through the alpine wilderness and watch the sunset over a fire. This region offers possibilities to unwind, let go of life’s concerns and reconnect to the natural world. 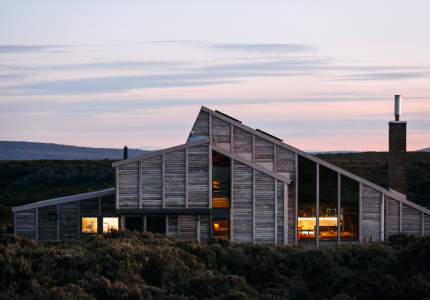 Whether you seek relaxed or sophisticated, there’s dining options aplenty in Tasmania’s north. Whisky tasting and contemporary dining in Launceston. 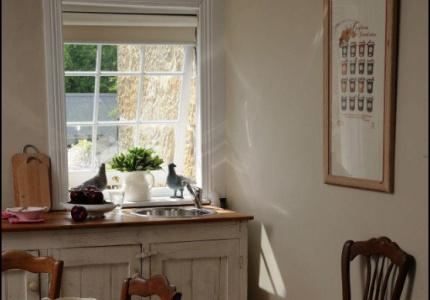 Country-style cuisine with cooking classes to match. 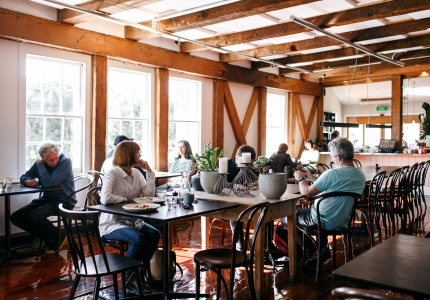 An elegant restaurant set within a charming old flourmill. Visit cellar doors in the Tamar Valley wine region and follow up with a craft brew back in town. A rustic cellar door in the Tamar Valley. 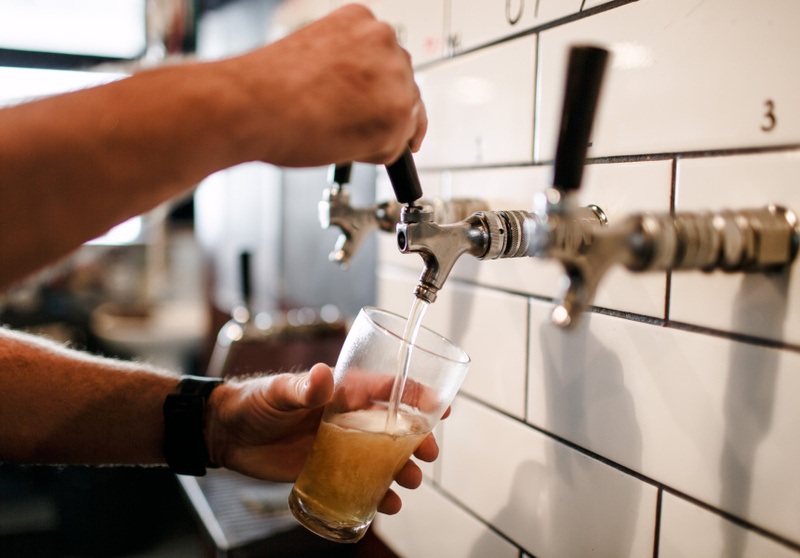 Fourteen taps highlighting the island’s best craft beer. Stock-up on fresh produce, truffles and native ingredients, then head for the hills and stunning mountain views. 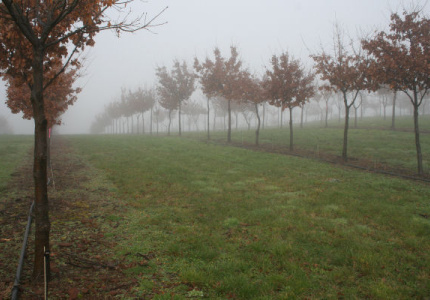 Black truffles thrive in a clean and cold environment, and wintertime in Tasmania provides ideal conditions. Truffles of Tasmania, located in the town of Needles, 50 minutes west of Launceston, produces a truffle with a uniquely strong and sweet aroma, making it highly sought after internationally. From June through to September you can join the team on a tour of the grounds to learn about the rare black perigord truffles. Hunt for them with prized truffle-hunting dogs and then, if you’re lucky, purchase them to eat for yourself. They run daily tours through winter by appointment only. 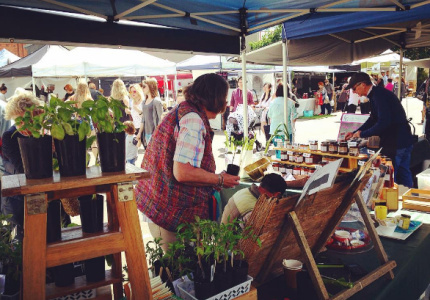 Downtown Launceston comes to life every Saturday morning with the local community Farmers Market. Rug up and venture down to the transformed car park on Cimitiere Street, to stuff your bags with the freshest winter produce, purchased straight from the grower. Stock-up on seasonal fruits such as apples, pears and lemons; and leafy greens, winter squash and potatoes for a nourishing stew. 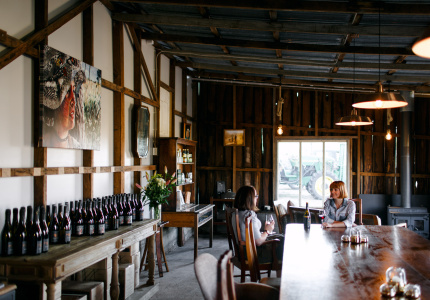 Wander with a coffee, cider, kombucha or a handcrafted beer, and choose from a selection of organic sourdough breads, Tasmanian cheeses, and homemade preserves, to enjoy your very own platter by the fire. 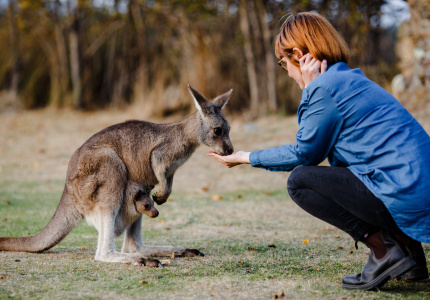 Located an hour north-west of Launceston, Pepper Bush offers wildlife adventure tours that get you up close and personal with Tasmanian wildlife in its natural habitat. Local characters Craig “Bushie” Williams and his son Ben offer a series of adventures, including a day-long Quoll Patrol tour. The trip will take you up Tasmania’s second-highest peak (1572 metres) at Ben Lomond National Park, a stunning alpine plateau overlooking the untouched landscapes of Tasmania. There you can pick native pepper berries and sassafras leaves to add to your baked fish at dinner. 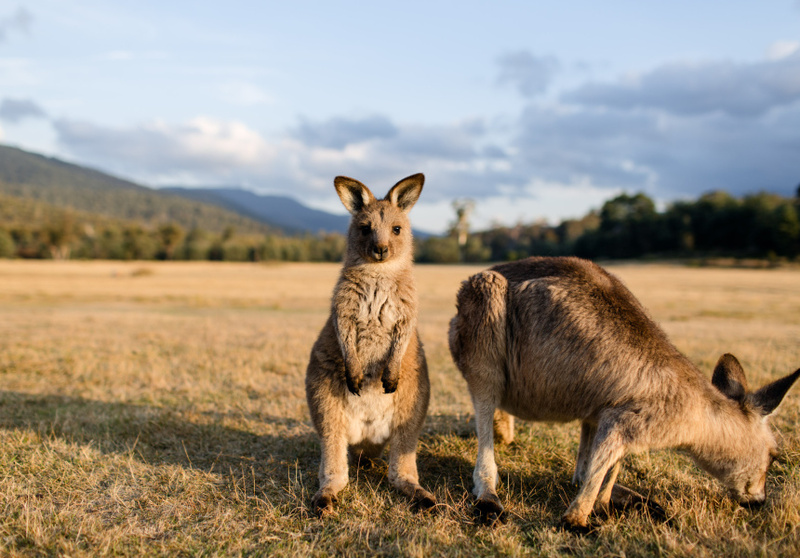 At sunset, snuggle up by the campfire and enjoy a full cheese spread with local wine, all while kangaroos graze only a few metres away. After dusk, the bush stirs with wallabies, kangaroos, wombats, possums and spotted quolls, who all appear to provide some after-dinner entertainment. 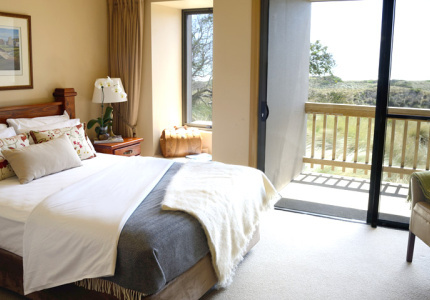 Take in glorious views of lush bushland or the northern coastal dunes. Couple suites and spa on a coastal golf course. 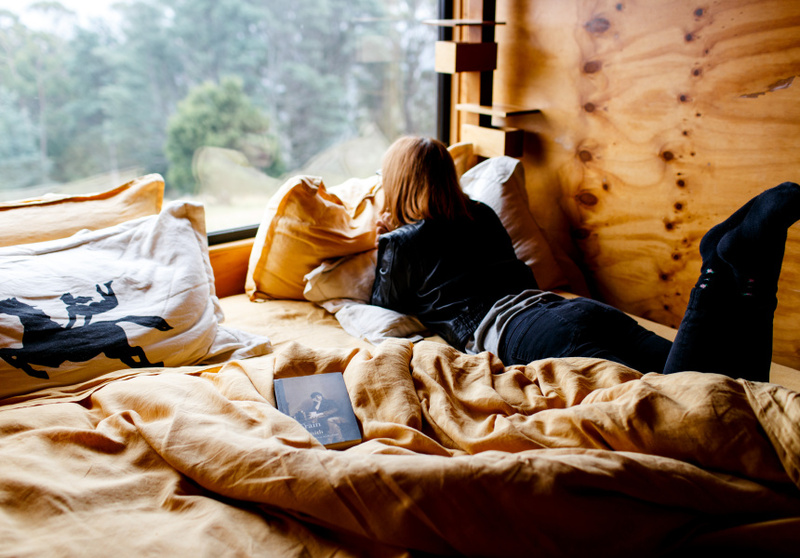 Sleep in a cosy eco-luxe converted shipping container. Adventure by day, whisky by night. Embrace chilly winter days with roaring fireplaces, wildlife exploring and outdoor baths. Tasmania’s northern region offers a perfect blend of nature, food and drink. Enjoy a leisurely start to the day. Order a coffee and choose from a selection of hearty breakfast options to keep you going on the next part of your adventure. Join one of Australia’s most authentic wildlife tours. Spend eight hours exploring the alpine wilderness by truck and on foot, getting up close with some of Tasmania’s shyest furry friends. Enjoy the spectacular sunset over the plains with an early campfire dinner. 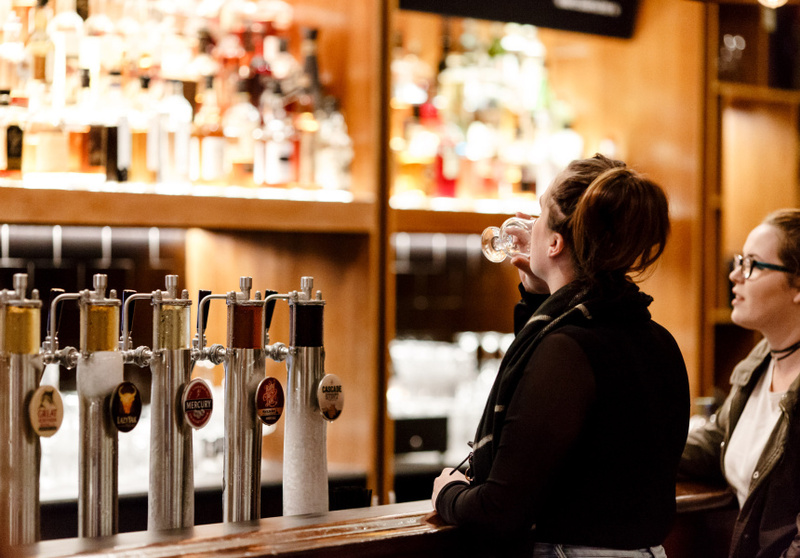 Pop into Saint John on your drive back through Launceston and choose from one of the 14 craft beers on tap. If you’re still feeling peckish, head to the food van parked out the back. Finish the evening with a whisky nightcap. Find a cosy spot on the Chesterfield lounge in front of the open fire. End an adventure-filled day by relaxing in the steamy outdoor claw-foot bath under the starry skies, surrounded by a misty forest. This article is produced by Broadsheet in partnership with Tasmania – Go Behind the Scenery. Curious? To get amongst it and experience all Tassie has to offer this winter - start your story here.